Gould, 1850, Proc. Boston Soc. Nat. Hist. 3: 295. Gould, 1852, U.S. Explor. Exped. 12: 429. Gould, 1862, U.S. Explor. Exped. 12: pl. 28, figs. 543-543b. 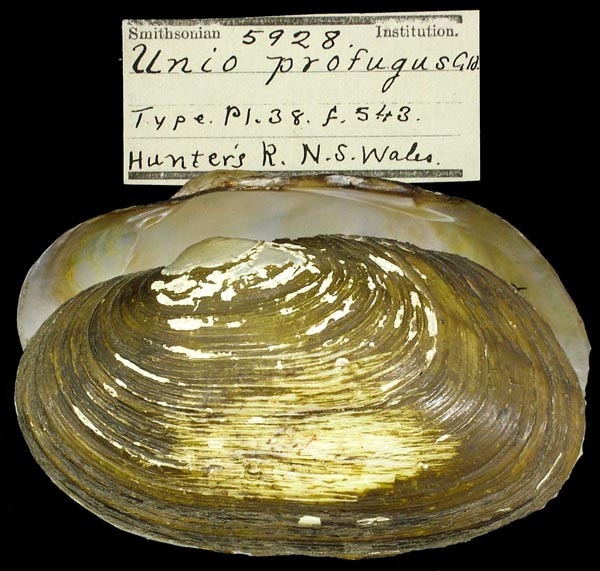 Type(s): HOLOTYPE USNM_5928, Hunter’s R. N.S.Wales. Iredale, 1943, Austral. Natural. 11: 90. 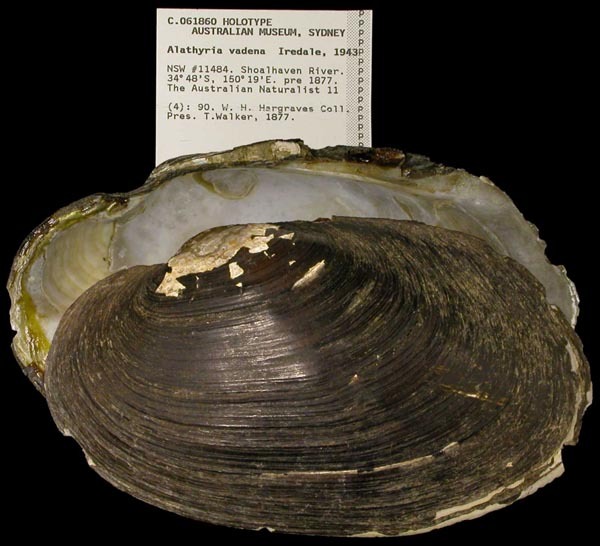 Type(s): HOLOTYPE AMS_61860, Shoalhaven River, New South Wales, Australia [-34.8, 150.317 > ± 100 km].